RRB has released admit card for RRB ALP State II Exam. Candidate who qualified 1st stage exam can download admit card now. 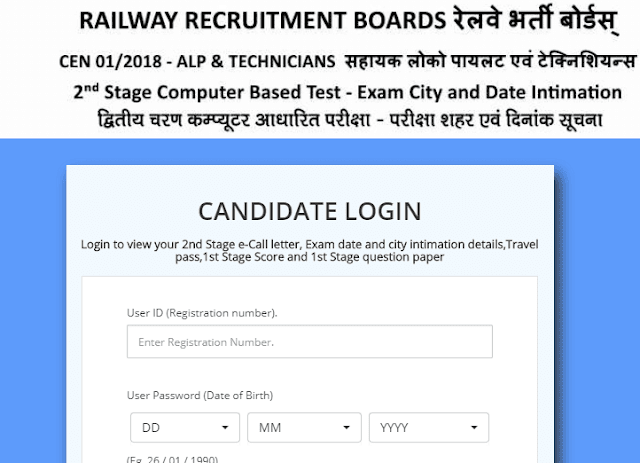 RRB ALP 2nd Stage Exam: Railway Recruitment Board has released admit card for Auto Loco Pilot 2nd Stage Exam. Candidates who qualified 1st stage ALP exam are invited for 2nd stage exam. Candidate can also take a mock test provided by RRB.